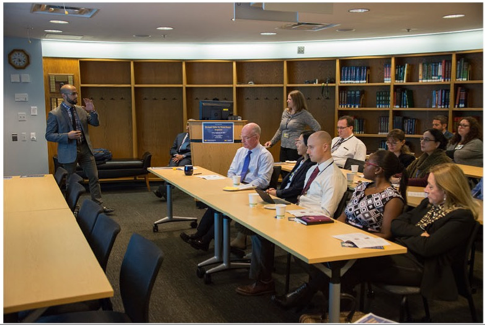 We conducted the second annual symposium of the Michigan Center for Global Surgery on Friday, September 28, 2018.  The Michigan Center for Global Surgery works to develop sustainable pathways for residents and faculty members to strengthen surgical systems around the globe and have an impact on the future of global surgery. We are building outreach efforts locally and across national borders that are aimed at reducing inequalities in health due to variances in access to basic surgical care across the world. For the second Michigan Center for Global Surgery Symposium, we assembled an impressive panel of speakers within and outside the department. The overall theme of the symposium was aimed at improving awareness and rekindling interest in global health, both within the department and institution. The symposium began with a talk by Dr. Michael Mulholland, Chair of the Department of Surgery. 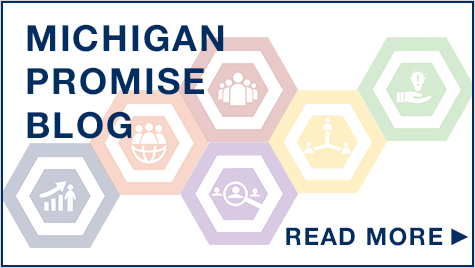 Dr. Mulholland gave an insight into Michigan Promise and discussed the various new initiatives within the Department of Surgery. The two keynote speakers were Dr. Mark G. Shrime, MD MPH PhD and Dr. Julia Greve, MD, PhD. Dr. Shrime is an Assistant Professor of Otolaryngology and of Global Health and Social Medicine at the Harvard Medical School. He also serves as the Research Director at the Program in Global Surgery and Social Change at the Harvard Medical School. In addition, he is an otolaryngologist at the Massachusetts Eye and Ear Infirmary, and associate faculty at Ariadne Labs. To date, he has worked and taught in Liberia, Sierra Leone, Guinea, Benin, Togo, Congo, Haiti, Saudi Arabia, Cameroon, and Madagascar. His talk, titled ” Solving for Why: Lessons from a Decade in Global Surgery”, detailed optimal policies and platforms for surgical delivery in low and middle income countries (LMIC). The discussion revolved around how we could maximize health benefits while simultaneously minimizing the risk of financial catastrophe faced by patients. He also presented the various economic models for delivery of health care in LMIC and argued for a proposal that described traveling systems with few modifications as one of the best. 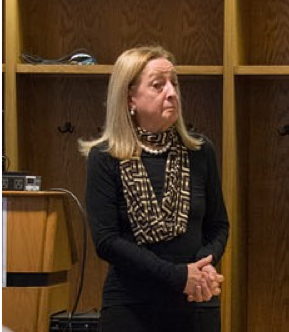 Additionally, Dr. Julia Greve, an Associate Professor of the Physical Medicine and Rehabilitation program from the University of São Paolo, was the other key note speaker. She presented her work on motorcycle accidents that are increasing at an alarming rate in the streets of São Paolo, Brazil. Her talk focused on the peculiarities of motor cycle crash victims including high incidence of extremity injuries, higher mortality despite a surprising higher rate of helmet use. She also made a case for specific prevention strategies for these victims. Panelists from the University of Michigan spoke at the symposium as well. Dr. Anupindi, from the University of Michigan's Ross School of Business, expounded on the various aspects of the business of health care delivery that included supply chain and presented specific examples of successful programs including the Aravind eye care system from south India. 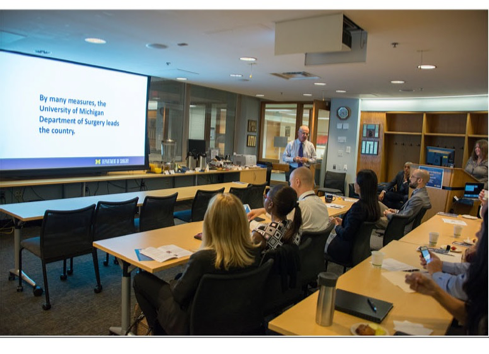 Dr. Jonathan Finks, Associate Professor from the Department of Surgery, discussed the origins and the progress made by the wildly successful “Doctors of Tomorrow program” at the Michigan Medical School. It was fascinating to hear the successful launch of the program and the enthusiastic all volunteer support by the medical students. Dr. Joseph Kolars, Senior Associate Dean and Director of Global Reach, spoke eloquently on the intersection of departmental and institutional initiatives on global health. He displayed data that suggests a strong interest for incoming medical students on global health and one of the main reasons why they chose Michigan over other competitive medical schools in the US. 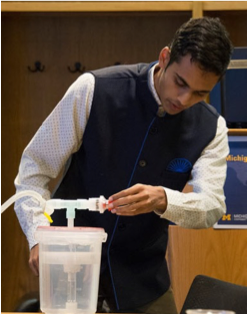 Scenes from the 2018 Michigan Center for Global Surgery Symposium. Left to Right: Dr. Finks and Dr. Mulholland; Dr. Butz; Dr. Agochukwu. Other speakers included Ilona Argirion, a MS and PhD candidate from the School of Public Health at the University of Michigan, who described a longitudinal study of patients with head and neck cancer from a remote area in Thailand. Dr. Nnenaya Agochukwu, MD, a Research Fellow and Clinical Lecturer in the Department of Urology, spoke on the challenges and barriers towards studying the State of Surgical Quality in Africa. The symposium included the presentation of an exciting approach to the business of emergency care from an economist’s perspective. Dr. David Butz, a senior fellow at the William Davidson Institute, argued in favor of an electronic mobile phone-initiated financial system as a means to correct the inefficiencies of the emergency care by citing specific examples of his experience in Ghana. The symposium ended with an inspiring story of accomplishment from one of our medical students. Stephen John, BS spoke about the concept of a Neo-Vent that included a bench side demonstration of a mechanical ventilator that functions without electricity. This young entrepreneur has started a business and discussed the challenges of introducing this ventilator to emerging markets including the conduct of pilot studies in Nepal. The symposium was well received, and the participation of the audience was enthusiastic.